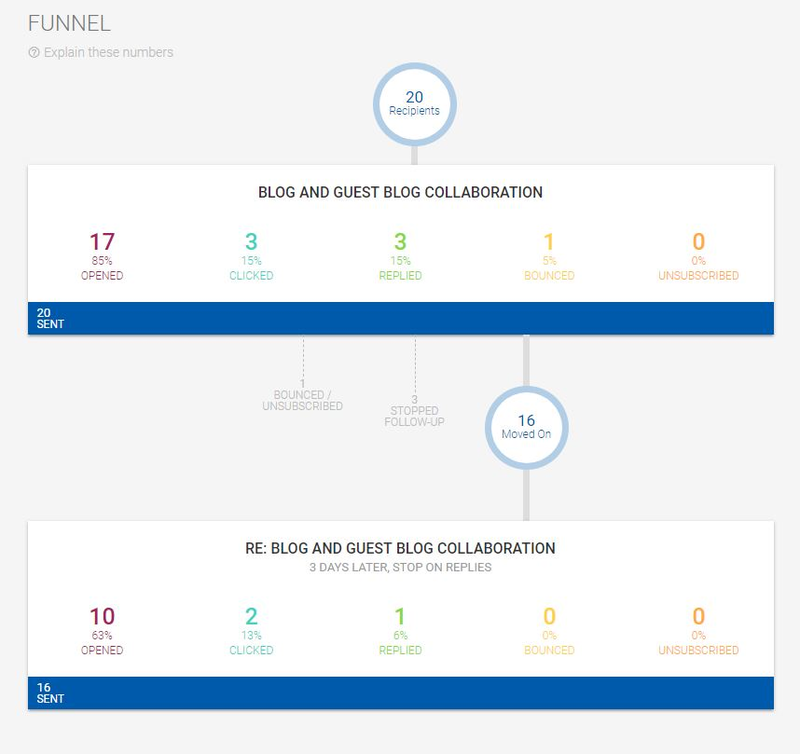 There is definitely no shortage of tools in the content marketing space. And the market is expected to grow at about 16 percent per year for the next few years. 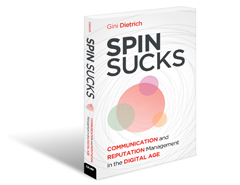 The continual introduction of new tools and technologies accounts for a large portion of this growth. With more tools entering the market, it becomes appealing to buy—or subscribe to—many of them. What is the most important investment when buying a tool? So be sure to think about these things before you acquire a new tool. When selecting a tool, it is tempting to go for a mainstream product. And by this manner of selection, you’ll end up with tools such as MailChimp, Buffer, HubSpot, and more. Not that there’s anything wrong with these tools. But for every one of these popular products, there are many lesser-known tools worth a look. On the other hand, some of these tools can also be less reputable. Now, here is a hand-picked list of 10 content marketing tools worth looking at. 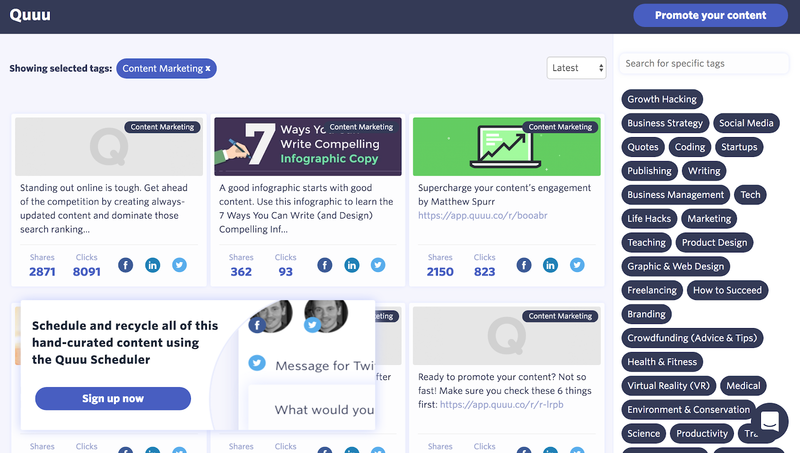 Quuu helps you share high-quality content from the categories you choose. It offers hand-curated content suggestions you can schedule on Twitter, Facebook, and LinkedIn. Curating content your audience is interested in is a great way to build a community on social media. When doing this systematically on multiple platforms, however, it will become a time-consuming task. With Quuu, you can subscribe to categories in your niche. They’ll send blog posts, articles, podcast episodes, and videos (all reviewed) to the scheduler of choice. You can add these to your custom posting schedule alongside your content. In the Quuu scheduler, there’s also an evergreen tool that allows you to run ongoing campaigns. You can create posts to share however many times you like over a set period. Now you might be wondering where our content suggestions come from…enter Quuu Promote! In Quuu Promote, you submit content for review to be shared by real people and influencers in your niche (the Quuu users). The Quu team checks each submission to make sure it adheres to their quality criteria. Once your post is published in the relevant category, you can keep track of its shares and clicks in your Quuu Promote dashboard. It’s a great way to drive traffic to your blog and increase your social engagement. The price for basic Quuu starts at $15 per month, and Quuu Promote starts at $40 per month. Lumen5 is an online video creation tool. The goal is to allow anyone without technical knowledge or experience to easily create an engaging video. There is no doubt that video is on the rise. And video is a content type that should be part of every content marketing strategy. However, the need for sophisticated tools and technical skills can be a barrier to creating videos in a content marketing context. With Lumen5, you automatically create a video based on an existing blog post. The system is powered by artificial intelligence to help choose the right video clips to match your content. In my experience, this is a great way to generate the first version of a video, but with a few tweaks to make it final. The tool editor that allows you to do this is very intuitive and does not require any technical skills. Prices start at $49 per month, but it’s free if you don’t want the Lumen5 branding removed. PixelMe is a URL shortener allowing you to add a retargeting pixel to every link you share. In this way, you can run remarketing campaigns targeting people who click a specific link. Remarketing is one of the most effective paid acquisition strategies. 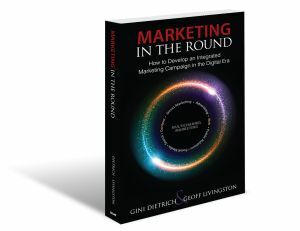 However, the challenge is that the success of remarketing is limited by audience size. Traditionally, you’ll retarget people on your email list or those who have visited your website. With PixelMe, you can broaden this audience and include people who click on the links you share on social media. This is especially useful if you heavily curate content and have an engaged following on one or more social media platforms. PixelMe works with all major ad platforms (AdWords, Facebook, Twitter, etc.) 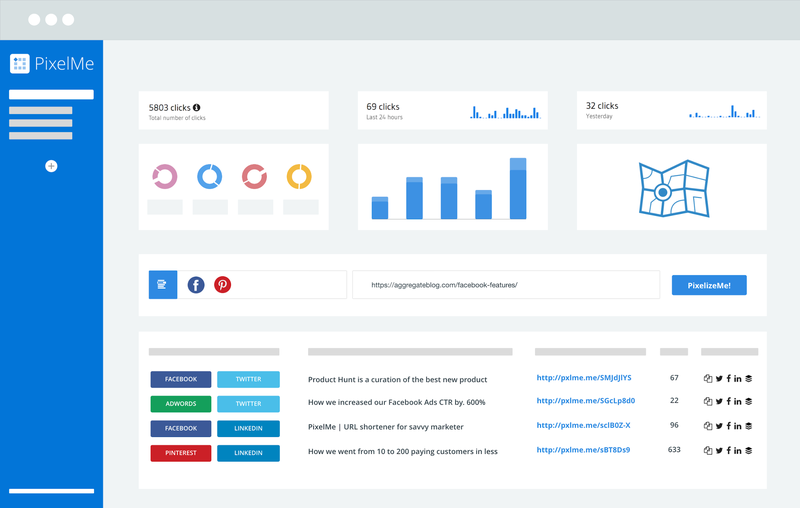 and offers a nicely formatted dashboard to visualize your click analytics. Prices start at $24 per month. Missinglettr is a social media automation tool for increasing blog traffic. 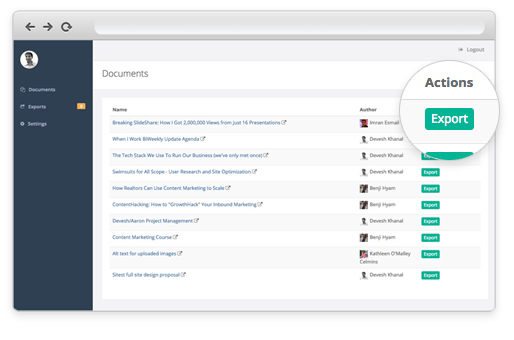 Unlike traditional scheduling tools such as Buffer, Missinglettr has an automated content resharing feature. This saves you time and maximizes your return on content. Typically, you invest a lot of effort in creating blog content which you subsequently promote through your social media channels. This results in a one-time effect, while the nature of the content is often evergreen. But continually promoting your best content on social media requires a lot of effort. With Missinglettr, you can reduce this effort drastically. The tool automatically schedules social posts via a social campaign lasting up to 12 months. They currently support Facebook, Twitter, LinkedIn, and Google+. Pinterest is coming soon. 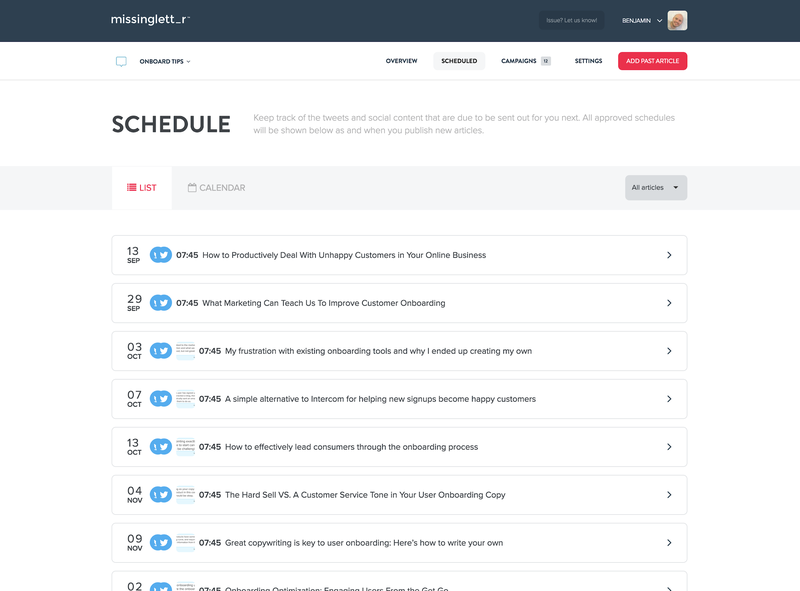 Moreover, Missinglettr also includes traditional social automation features including content templates, manual scheduling, URL shorteners, and analytics. Prices start at $15 per month. Wordable is a WordPress plugin that lets you transfer articles from Google Docs to WordPress easily. As a content marketer, you need to focus on the things that really move the needle, such as content creation and content promotion. Copy-pasting articles into WordPress is an activity which does not fall in this category. Formatting titles, numbers, bullets, etc. By clicking the export button, the tool automatically transfers the Google Doc article into WordPress, including formatting, images, and tables. There is a free plan available. Otherwise, paid plans start at $19 per month. Bannersnack is an online tool to create fully responsive banners which look great on all screen sizes, and on any device. 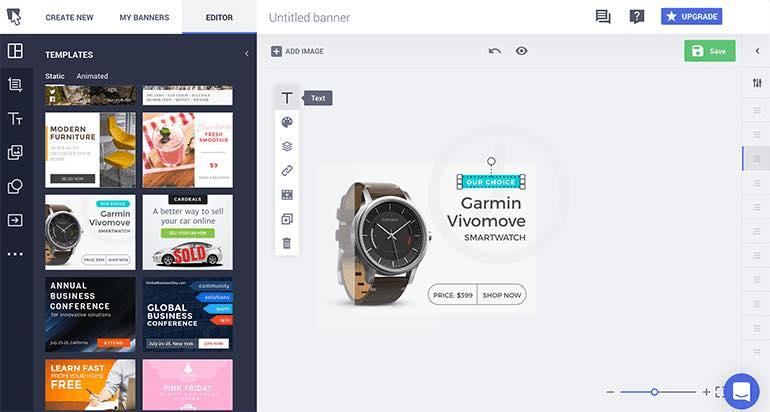 Bannersnack lets you design display ads in every shape or format. It will save you time by using pre-designed templates for specific industries (travel, fashion, automotive, etc.). The resulting banners are compatible with all major ad networks. You can make your banner unique by adding your colors and branding, animations, interactive elements, and call-to-actions. You do this through an intuitive drag-and-drop editor. An interesting feature is the Banner Generator, allowing you to generate a series of banners based on a combination of text, background, and other design elements. This saves a lot of time. For example, when changing the banner text, you’ll do it once, and the text automatically updates on all banners. A free plan is available. Paid plans start at $12 per month. Survey Anyplace is an online tool to create engaging surveys, quizzes, and assessments. The use of interactive questionnaires is a great way to make existing content more engaging and increase conversions. According to research, interactive content generates twice as many conversions as passive content. An interesting and more recent feature is the possibility of automatically sending a personalized PDF report to participants. There is a free plan available. And paid plans start at $29 per month. 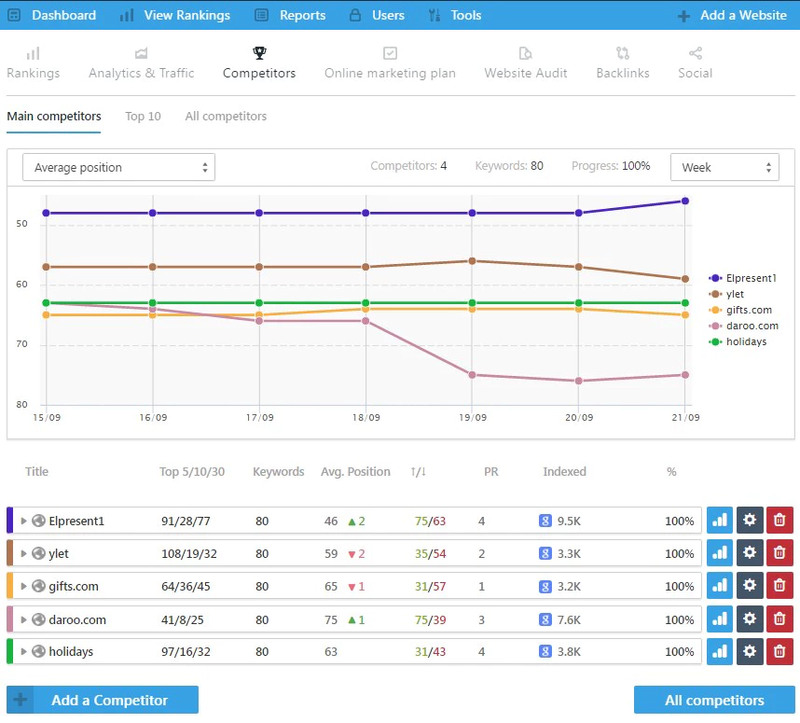 SE Ranking is an SEO tool that includes useful functions for content marketers, such as keyword suggestion, competitor research, and social media management. Because content marketing and SEO go hand-in-hand, it makes sense to use a best-of-breed tool covering a wide range of both content marketing and SEO needs. It’s necessary to give content marketers access to SEO functionalities and vice versa. As an example, a content marketer who improves and republishes an old blog article needs to be able to follow-up the effect on the rankings of these improvements. SE Ranking is ideal for small businesses looking for an all-in-one tool covering SEO, content, and social functionalities. 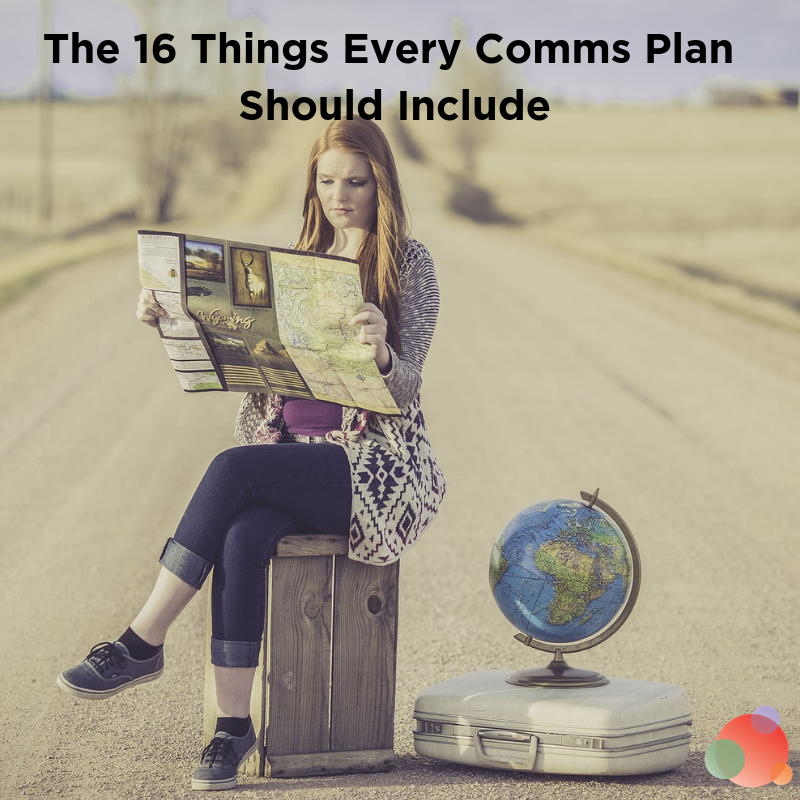 It’s also suitable for agencies, as it offers multiple websites, white label, and sub-accounts already in the $89 per month “Plus” plan. Prices start at $7 per month. Iconosquare is an all-one-one Instagram and Facebook analytics platform, which gives insights into social metrics and schedules. And it automatically posts content and allows you to manage your community from one place. Begun in 2011, Iconosquare has 30,000+ customers worldwide, which probably makes it the least “lesser-known” tool in this list. Iconosquare also has a cool, free tool called Instant Instagram Audit, allowing checks on your Instagram account and receive personalized recommendations to improve it. Prices start at $29 per month. 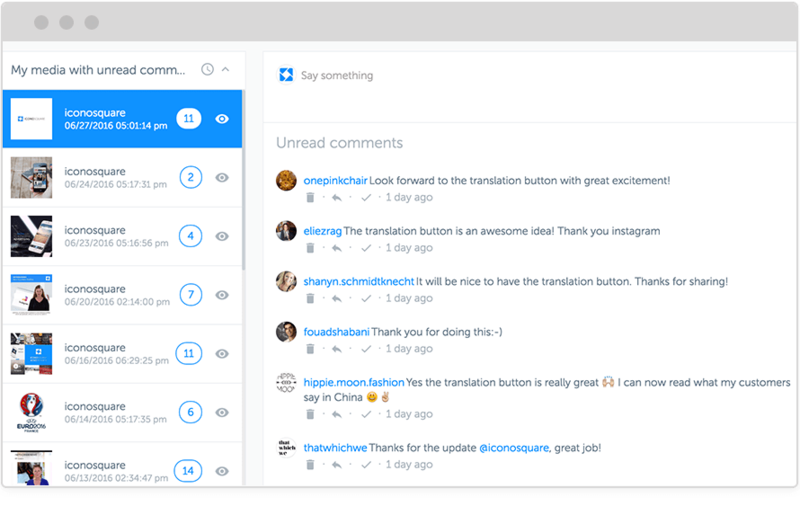 Mailshake allows you to send personalized cold emails directly from your personal (Google account based) email. You upload a spreadsheet with the recipient’s name, contact info, and any other personalization fields you want to include (blog name, LinkedIn reference, etc. ), and you’re good to go. You can set automatic follow-ups if recipients don’t reply, track when they open or click, and manage responses from the app. This saves a ton of time compared with doing it manually in your inbox. And on top of that, they have a great blog with plenty of outreach tips and tricks worth checking out. Prices start at $19 per month. Other Lesser-Known Content Marketing Tools? 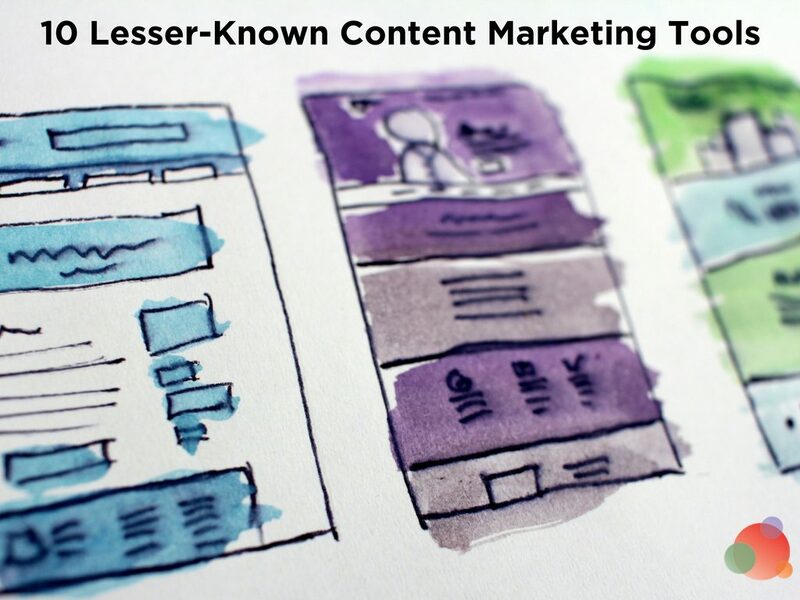 A list of top 10 ‘lesser-known’ content marketing tools to help make your content better and your life easier. Do you use any lesser-known content marketing tools you can recommend? If so, please share in the comments below. Stefan Debois is the founder and CEO of Survey Anyplace, an online software tool to create engaging surveys, quizzes, and assessments. Besides kitesurfing, Stefan is passionate about the potential of technology to have meaningful online interactions with people - at scale.